Blu who has been releasing mixtapes and albums since 2006 has a fan base that expands much farther than his hometown, LA. He gained recognition with his 2007 debut album, made with accomplished producer Exile, ‘Below the Heavens‘. 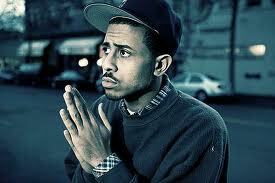 Receiving high critical praise, it put him on the map as one of XXL Magazine’s Ten Freshmen of ’08. Since then, he has released A Day Late and A Dollar Short with rapper Sene. Check out his latest video, MyBoyBlu off of his LP theGODleeBarnes below.